Holden Commodore tops the list of the Most Serviced Car 2018 in Australia. 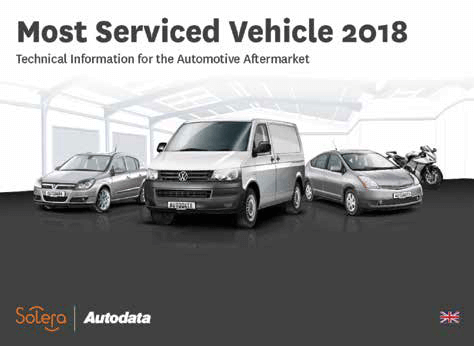 Autodata, a leading global automotive technical information provider has released its Most Serviced Vehicle Report 2018. In Australia, the most serviced car was the Holden Commodore (VE) (06-10) for the second year running, with the Nissan Patrol (Y61) (97-16) moving into second and the Toyota Landcruiser (100 Series) (98-07) into the third. The most serviced Light Commercial Vehicle (LCV) was the Toyota Hilux (05-15), while the most serviced motorcycle was the Yamaha YZF YZF-R1. Compared with European take up, Electric Vehicle (EV) adoption in Australia appears low according to the report. Charging infrastructure is a global problem, but low adoption could be attributed in part to the huge distances sometimes traveled and means current EV range limitations are an extremely important consideration for any owner not based in or around a major town. As well as highlighting the most serviced vehicles, the report also indicates some key trends in the automotive aftermarket sector. A notable observation is the increased prominence of Volkswagen, whose models featured highly in more countries when compared with last year. The report also indicates that while more VWs are being serviced in more countries, the alternative fuel and motorcycle markets are dominated by Japanese marques. Internationally, the Most Serviced Car Report 2018 was topped by Holden’s sister brand under the Opel/Vauxhall name with the Astra-H. The Ford Focus (04-08) moves down to second, and the BMW 3 Series (E90/91/92/93) (05-14) was third. The most serviced Light Commercial Vehicle (LCV) was the VW Transporter T5 (04-15) which retains first place, while the most serviced motorcycle was the Yamaha YZF YZF-R1. More than 89,000 workshops subscribe to Autodata’s applications which provides significant weight to the report. Globally, the top three most accessed Autodata product modules included ‘Technical Specifications, Engine Oil Checks and Repair Times’. In total technicians checked more than 70 million pieces of technical information through Autodata.